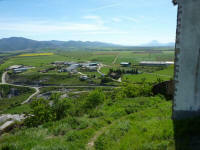 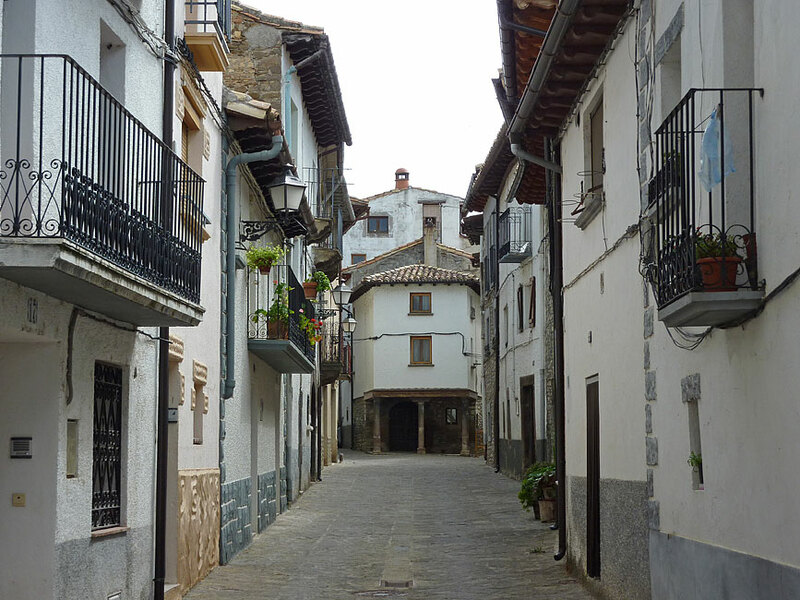 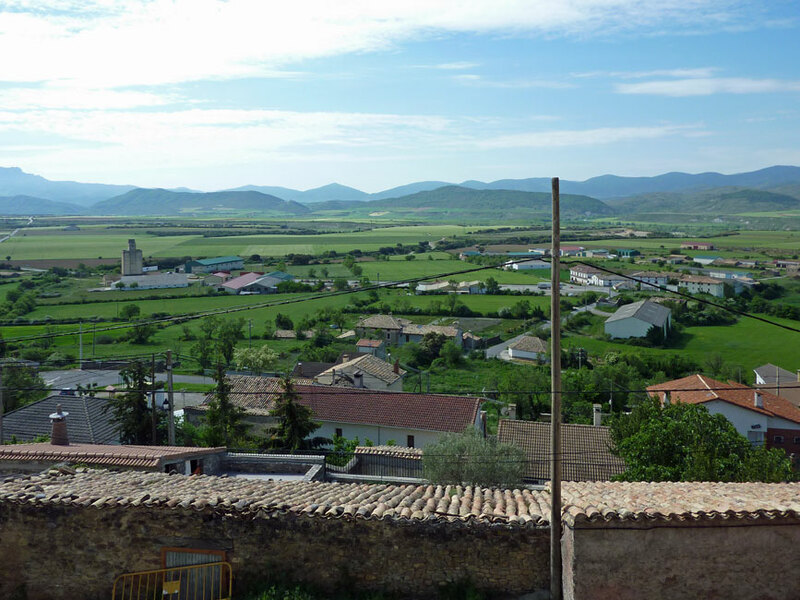 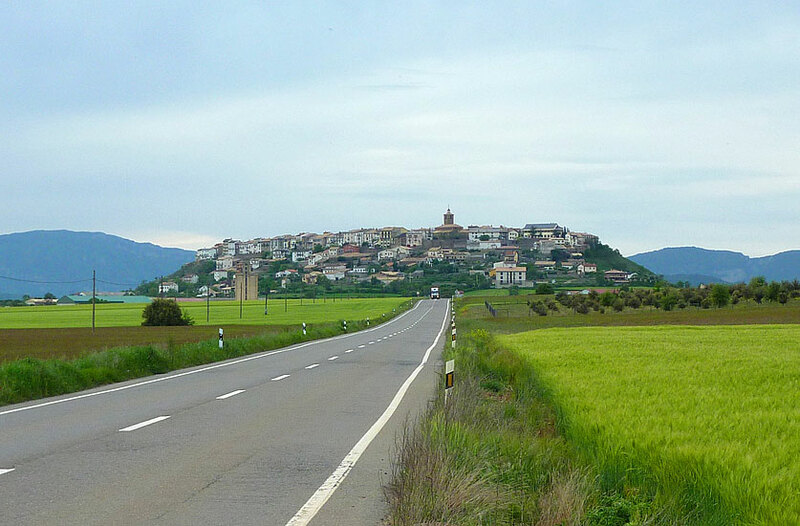 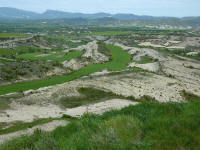 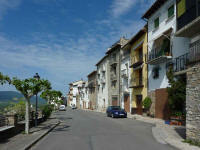 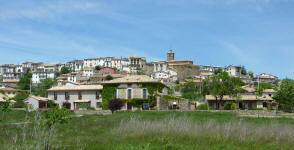 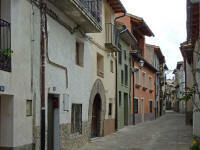 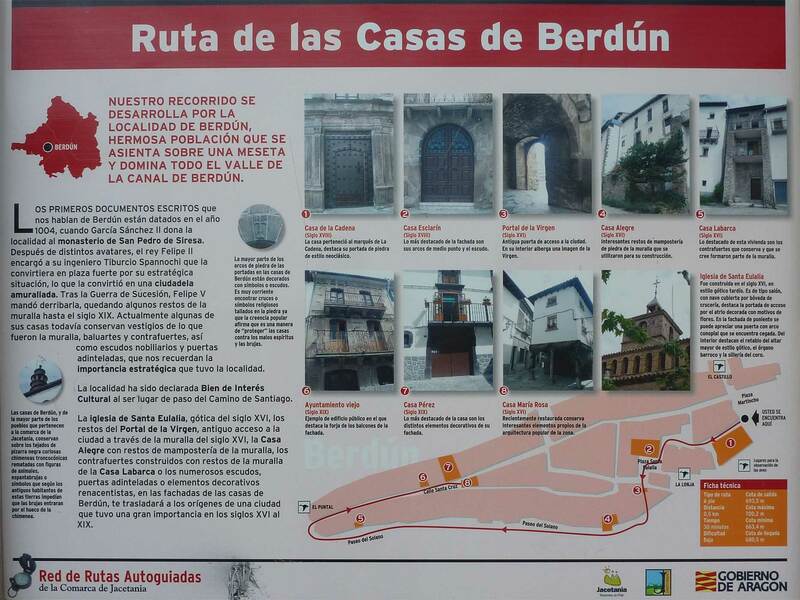 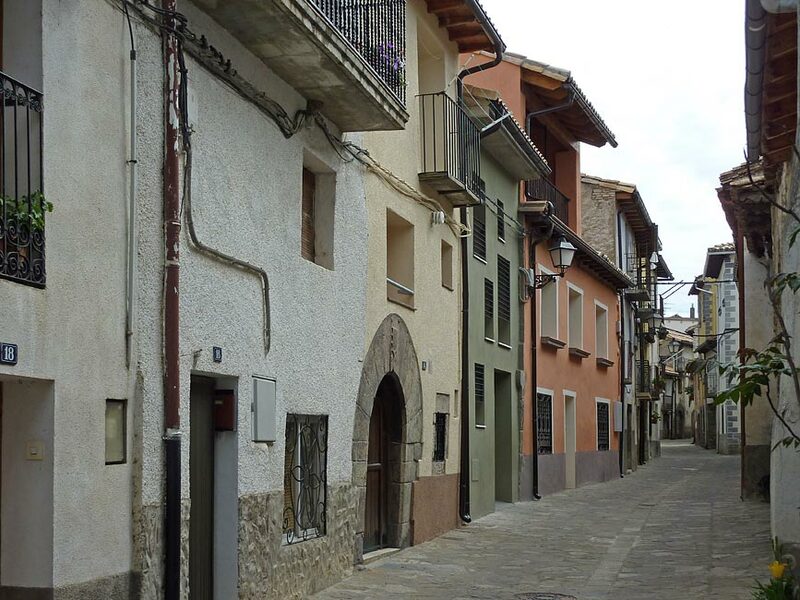 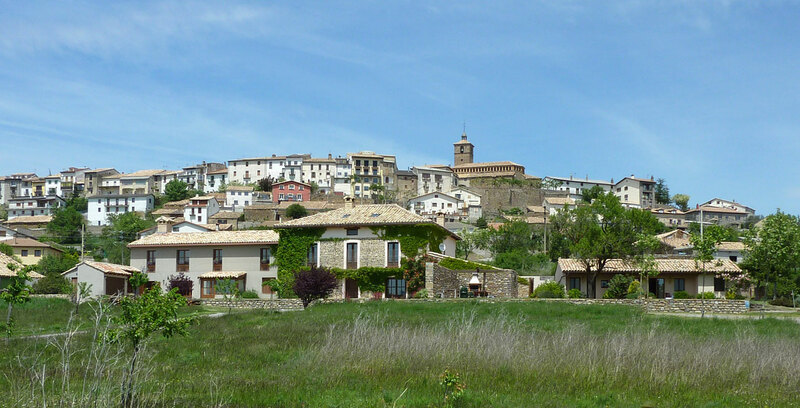 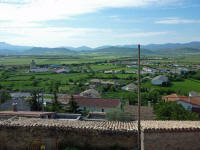 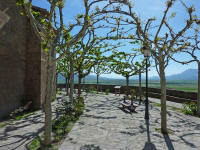 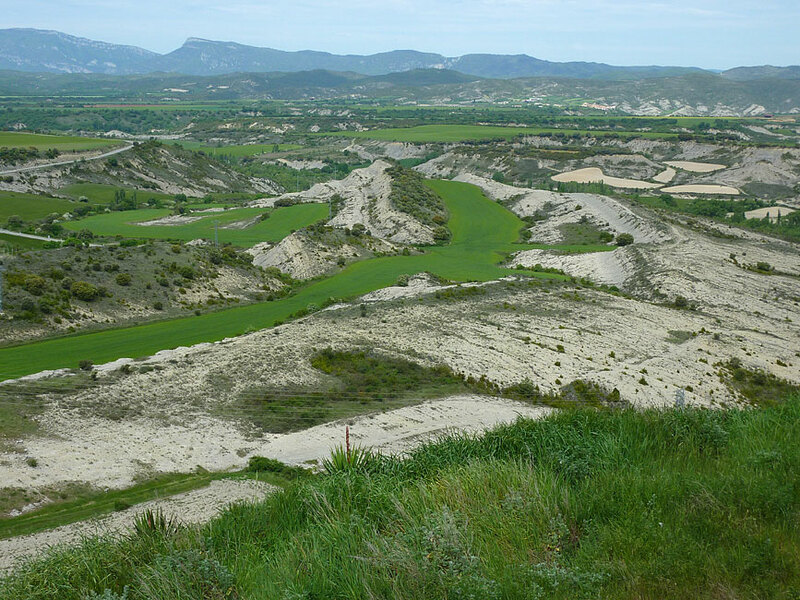 Berdún is on an isolated hill in the middle of the valley of the River Aragon. 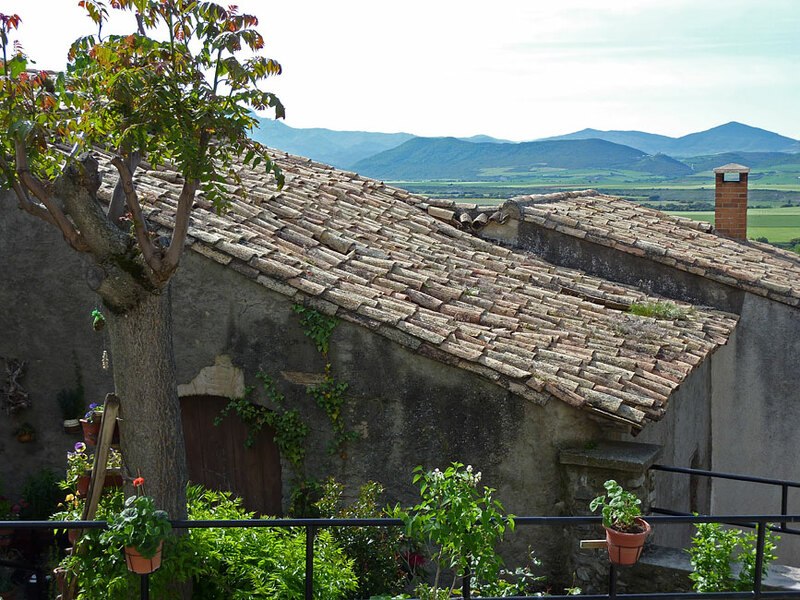 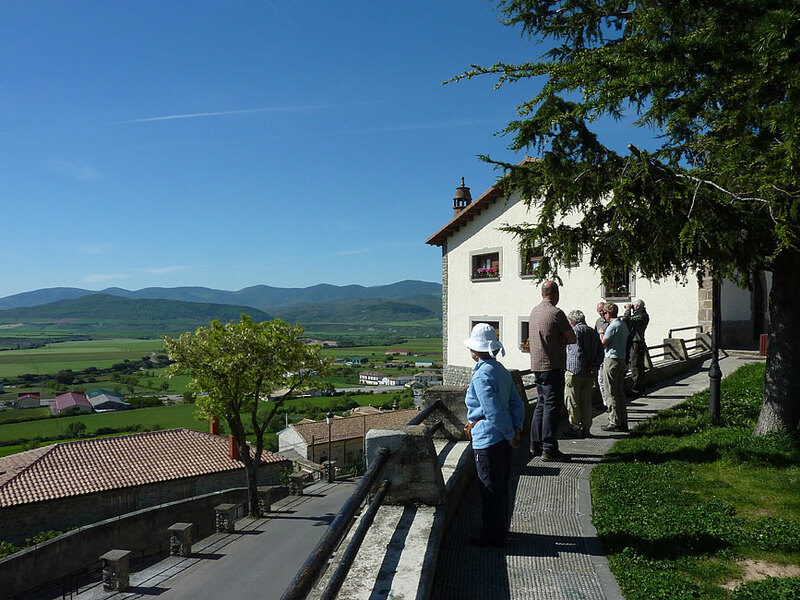 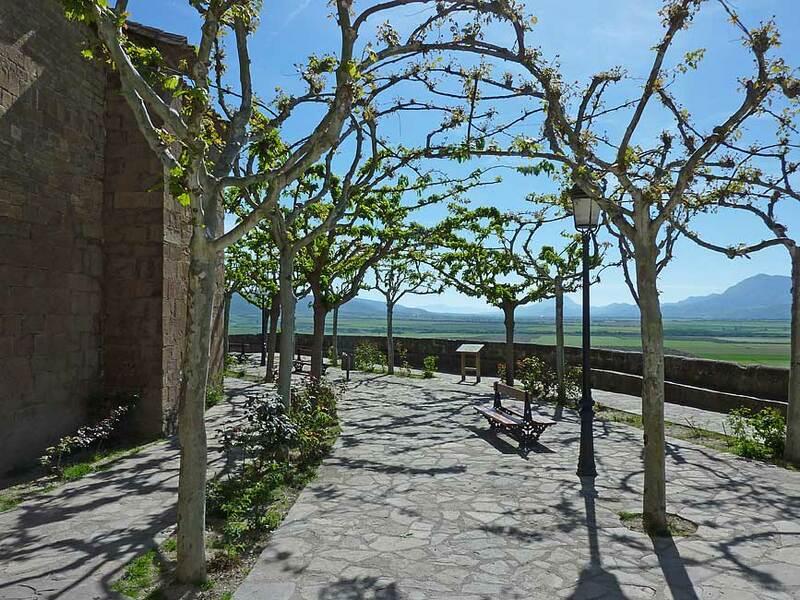 It is the capital of the municipality La Canal de Berdún, a stretch of the valley running east to west and connecting north-south valleys of the central part of the Pyrenees. 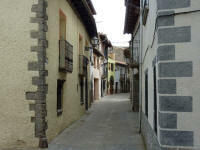 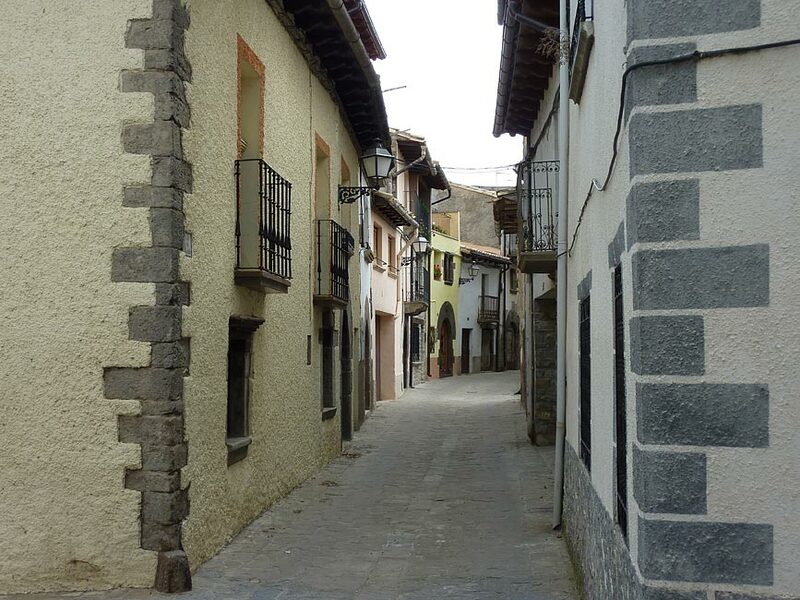 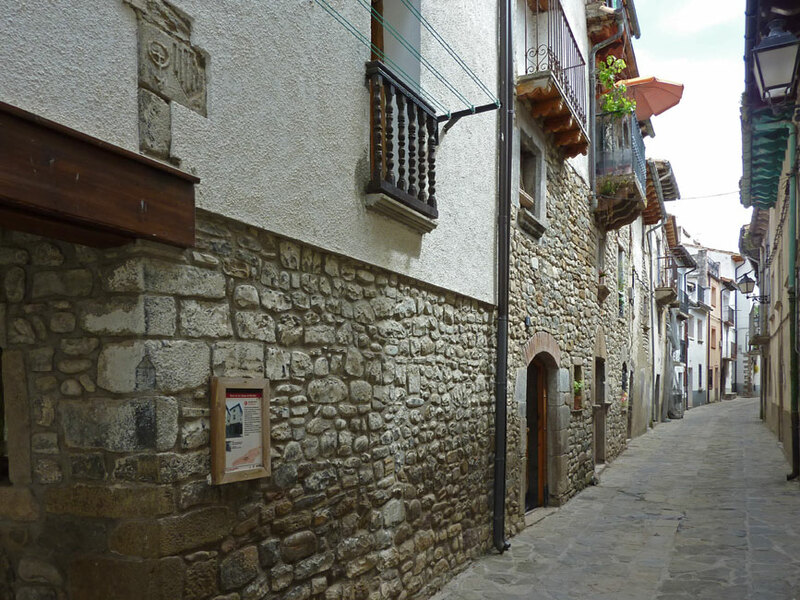 The pilgrim route to Santiago runs through it. 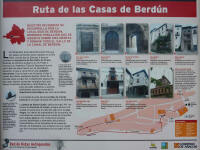 The name Berdún is Celtic, possibly deriving from viro (village) and dunum (fortification). 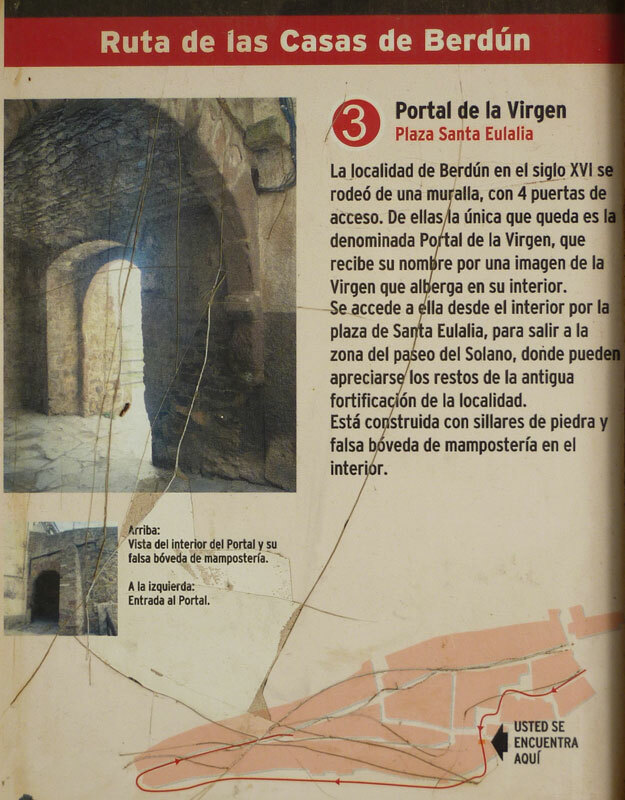 It was first mentioned in a document of 1004 when García Sánchez II donated it to the monastery of San Pedro de Siresa. 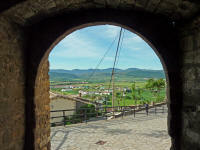 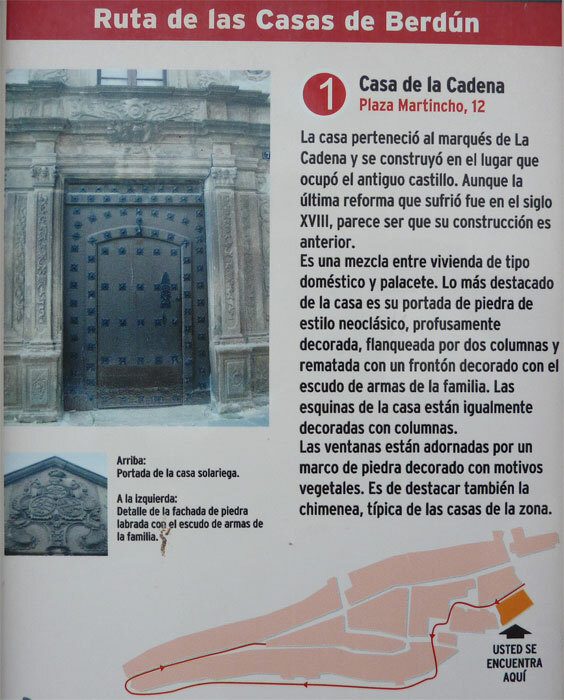 In the 16th century Philip II had it turned into a fortified walled town. 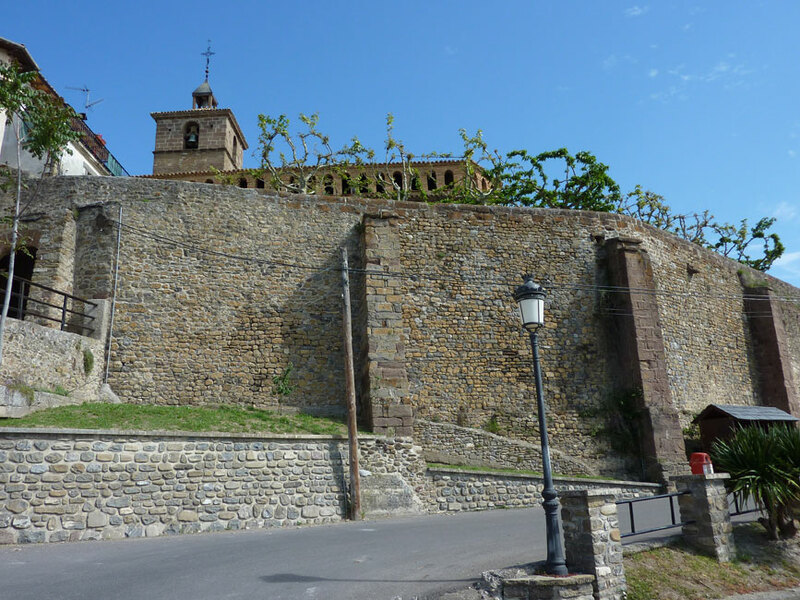 After the War of the Spanish Succession in the early 18th century Philip V ordered the demolition of the wall, although a little remains. 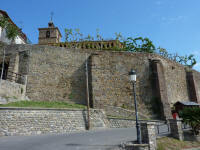 The medieval wall with its buttresses and the only surviving entrance gate through the wall, the Gateway of the Virgin. 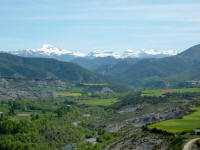 The views are tremendous and the geology fascinating. 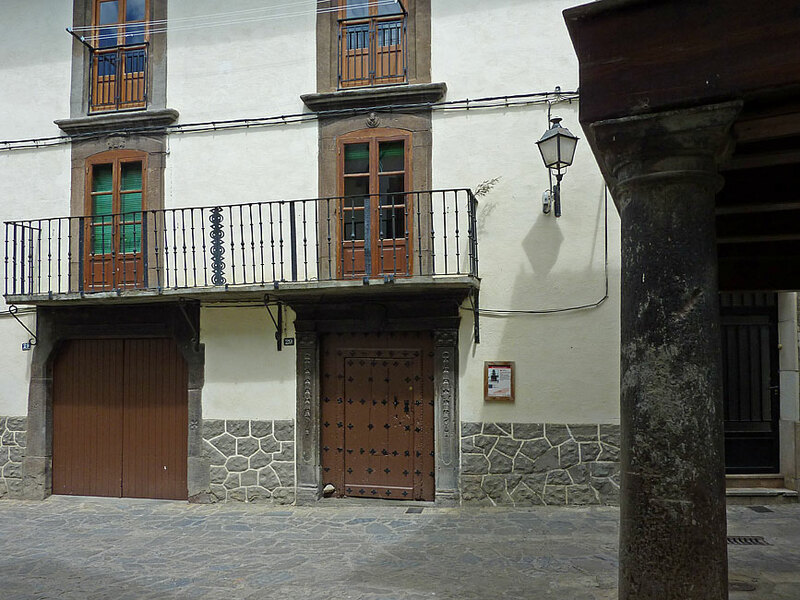 The Casa Alegre and the street known as the Paseo del Solano. 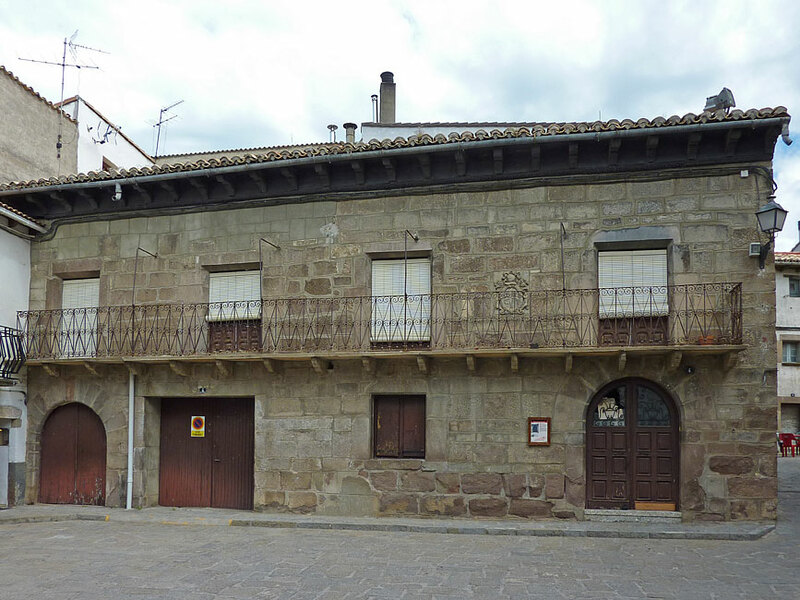 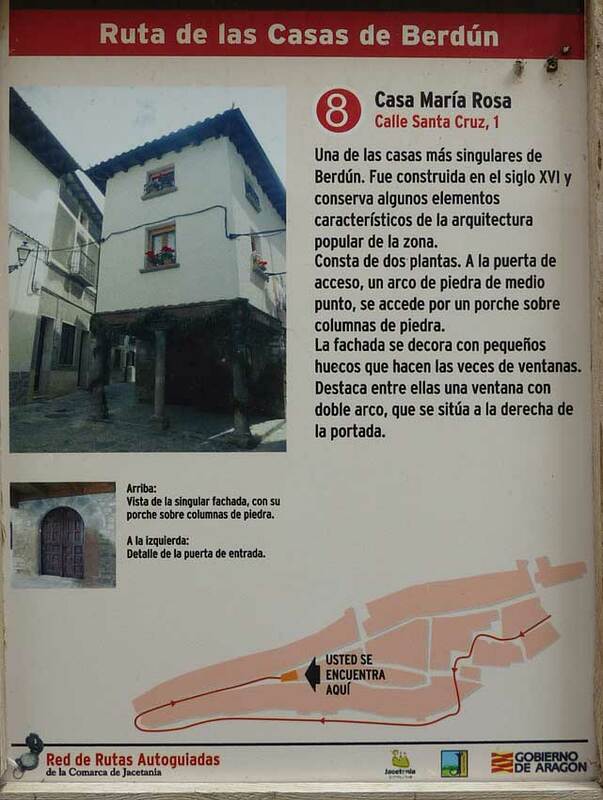 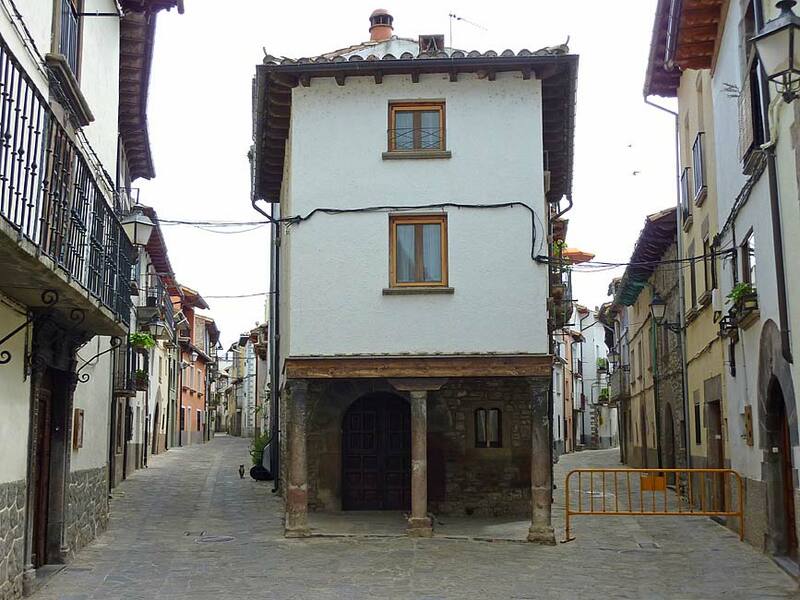 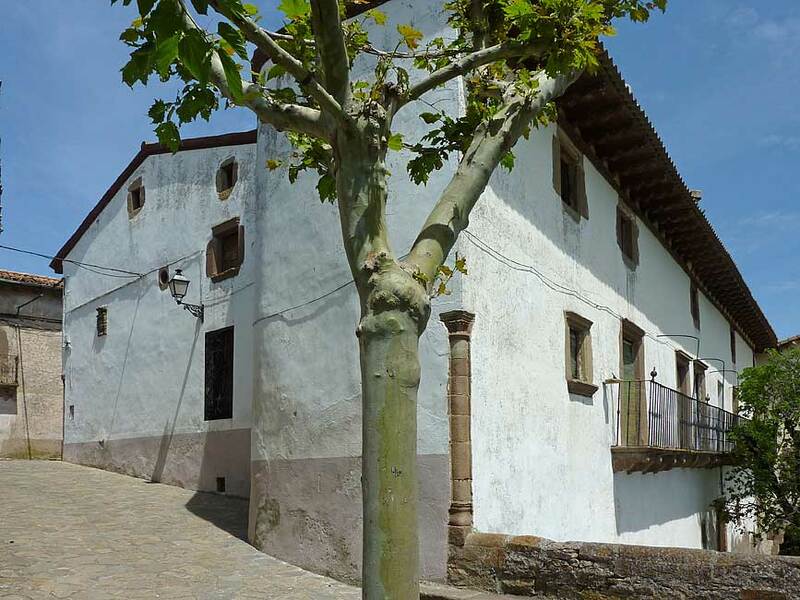 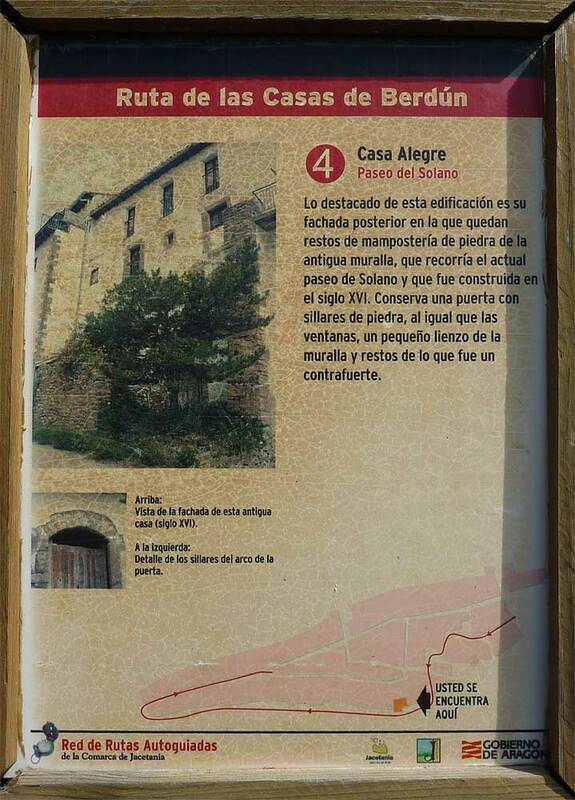 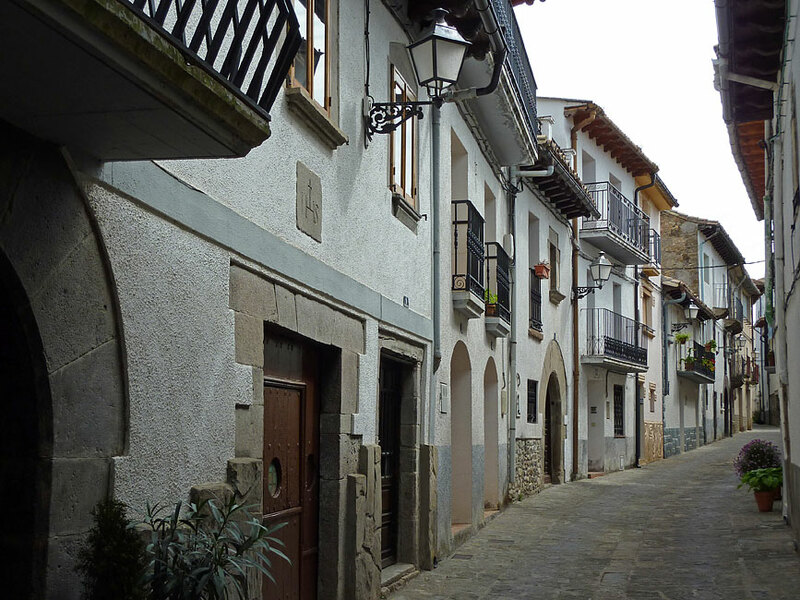 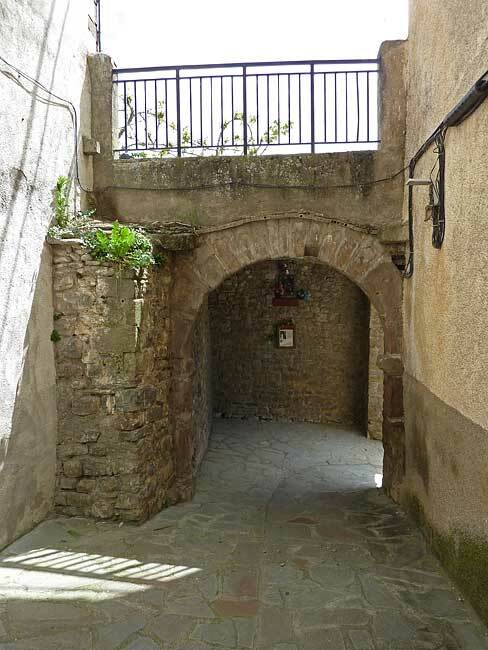 The Casa Alegre retains some of the town wall masonry from the 16th century with a buttress, an arched doorway and windows. 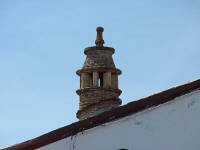 Many chimneys in this area have conical tops with symbols to frighten witches away from entering the house down through the chimney. 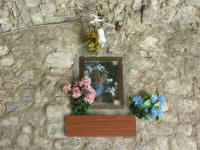 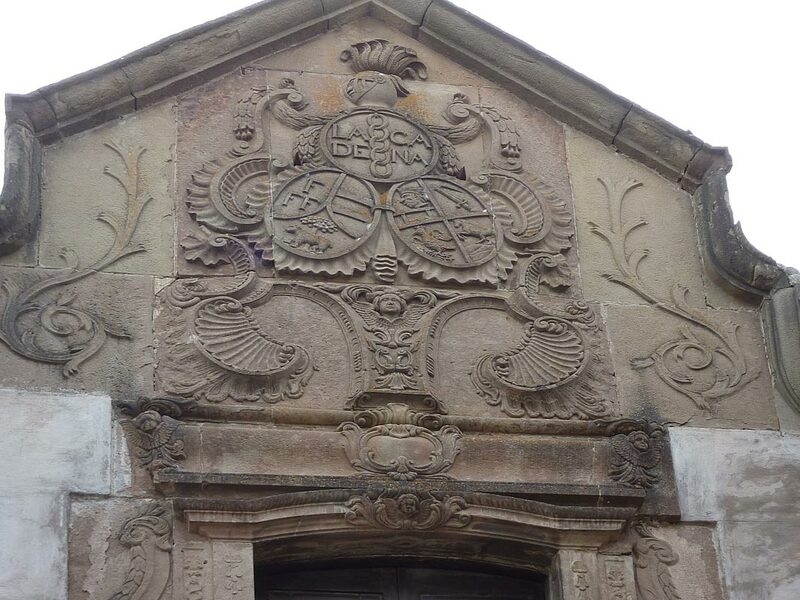 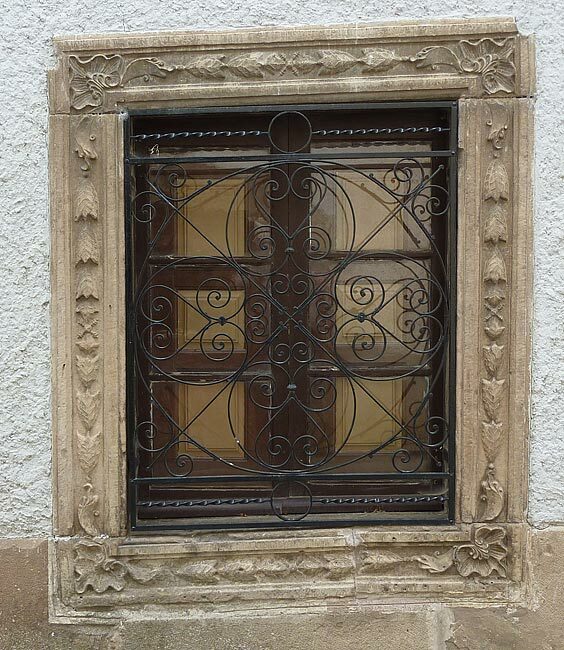 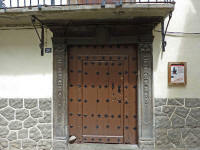 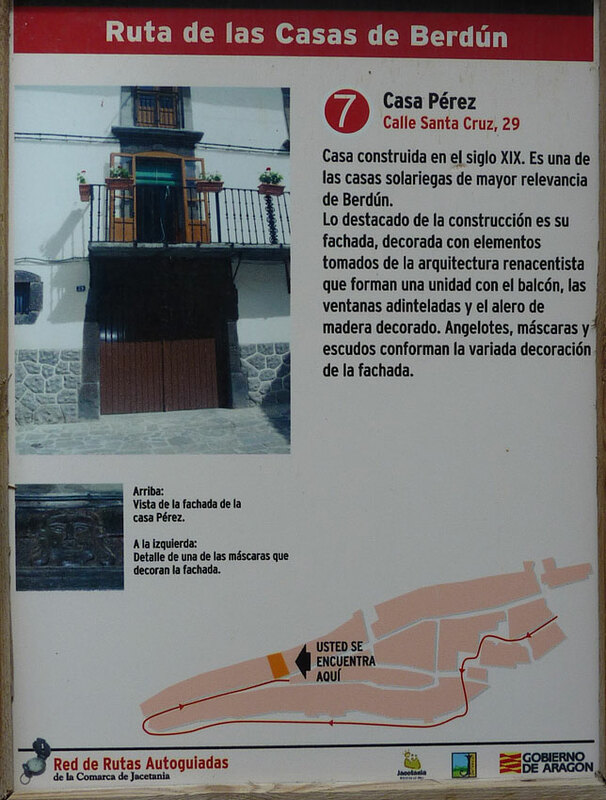 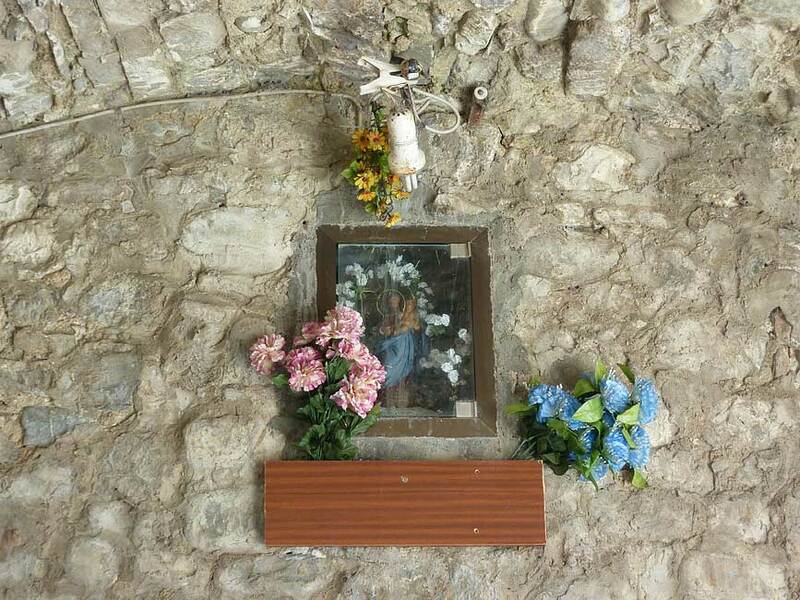 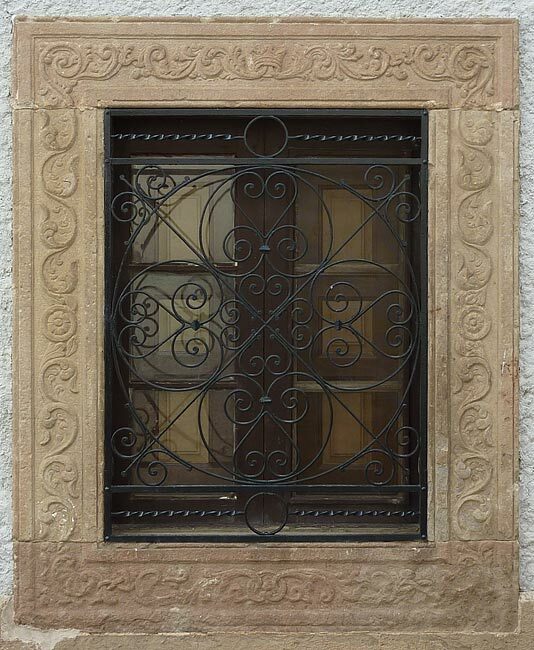 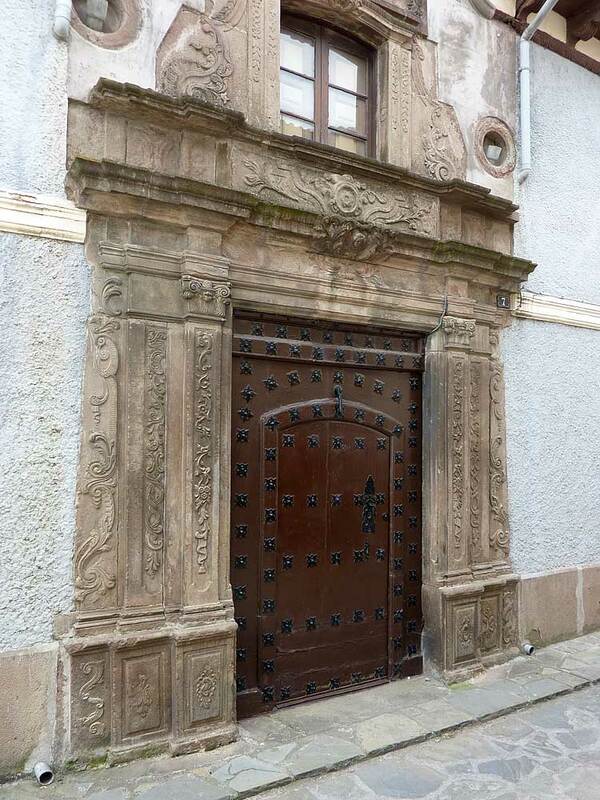 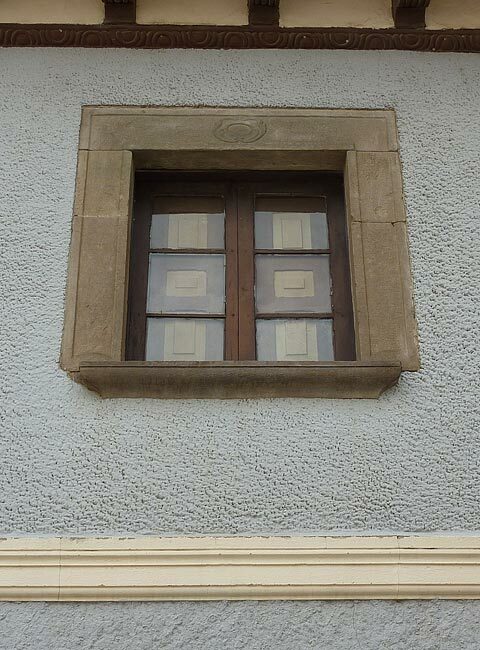 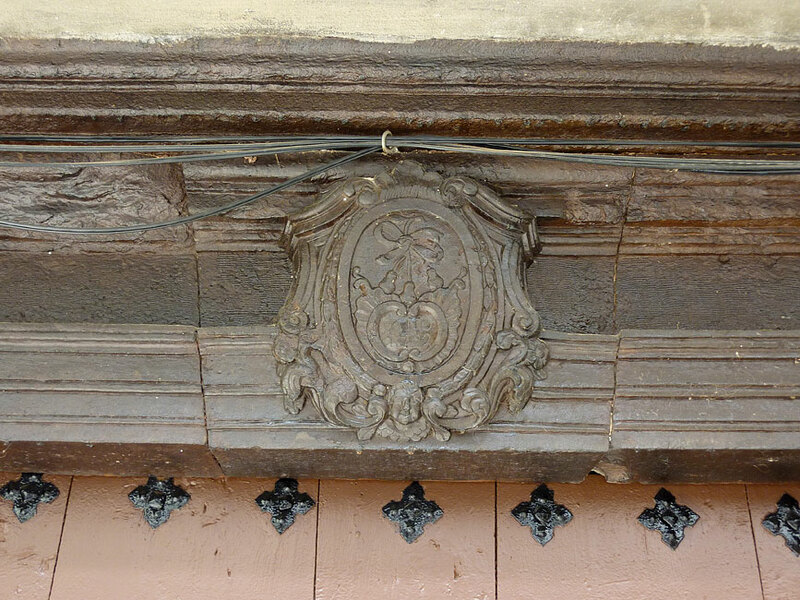 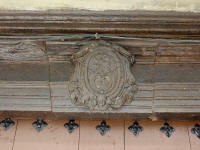 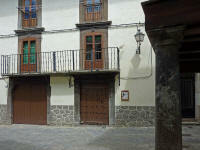 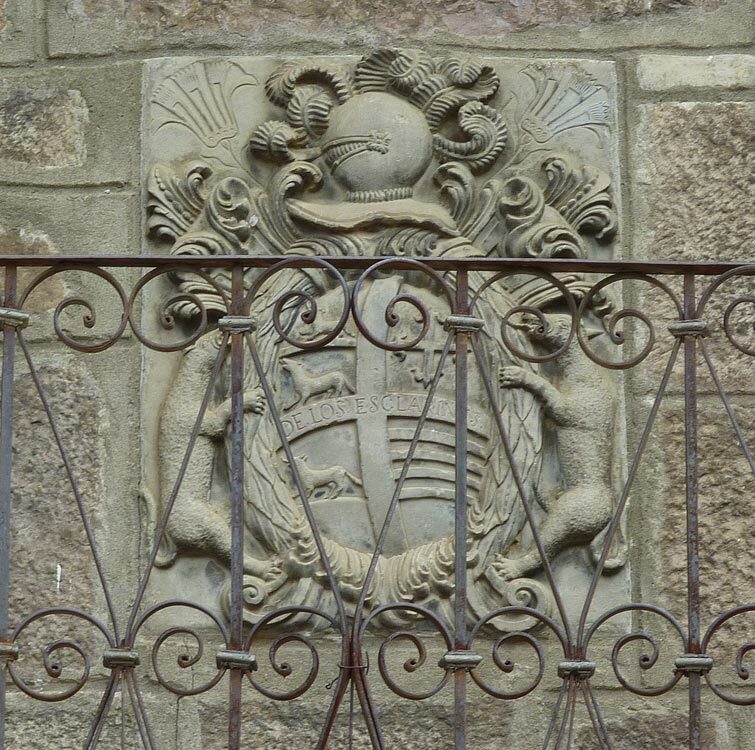 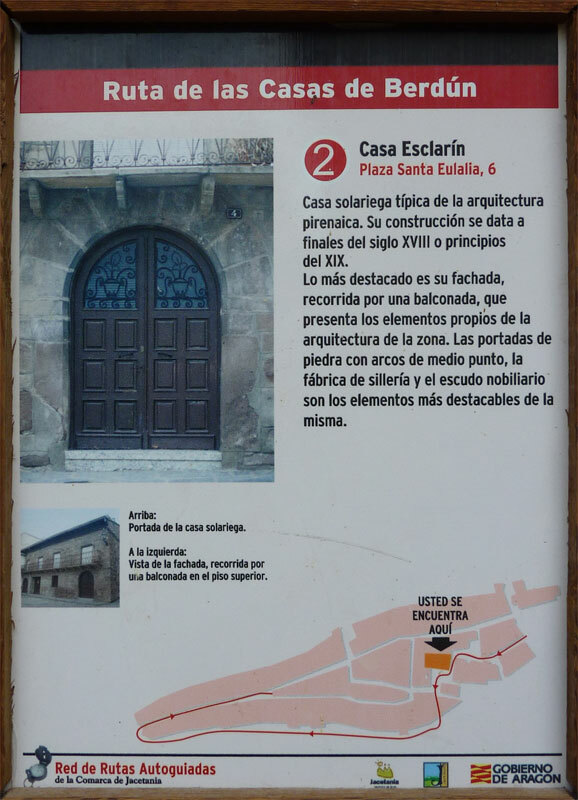 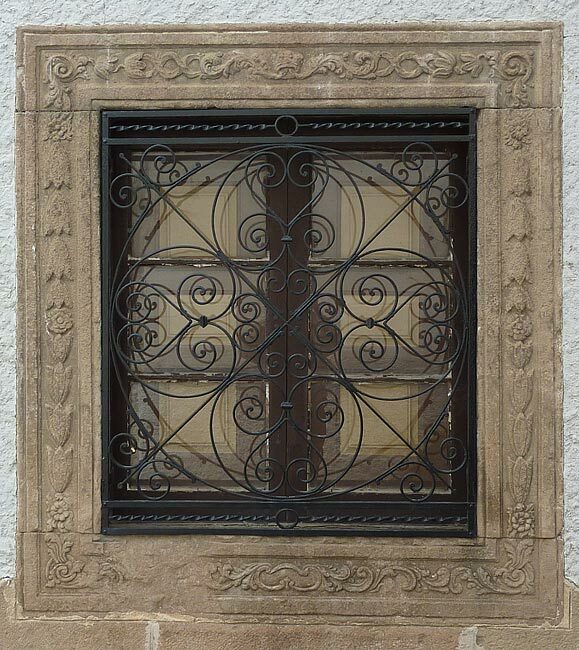 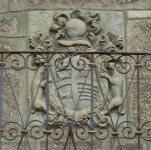 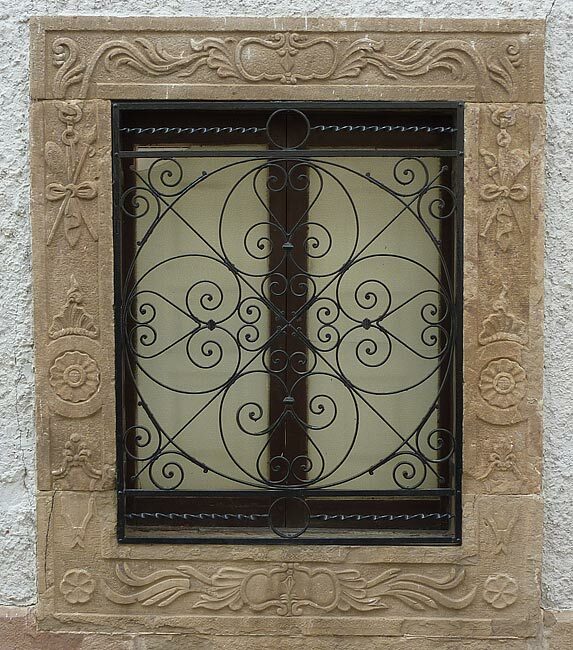 This is on the Casa de la Cadena built on the site of the old castle by the Marquis of Cadena in the Plaza Martincho. The current appearance dates from the 18th century although believed to be older. 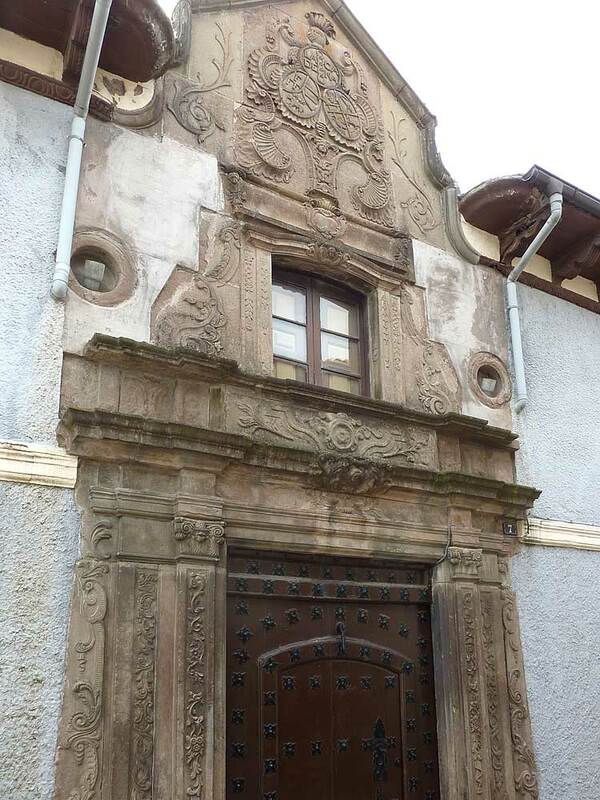 The neoclassical entrance surrounded by highly decorated stonework with columns and a pediment with the family arms. 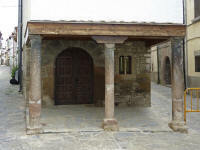 Casa Esclarín in the Plaza Santa Eulalia is from around 1800. 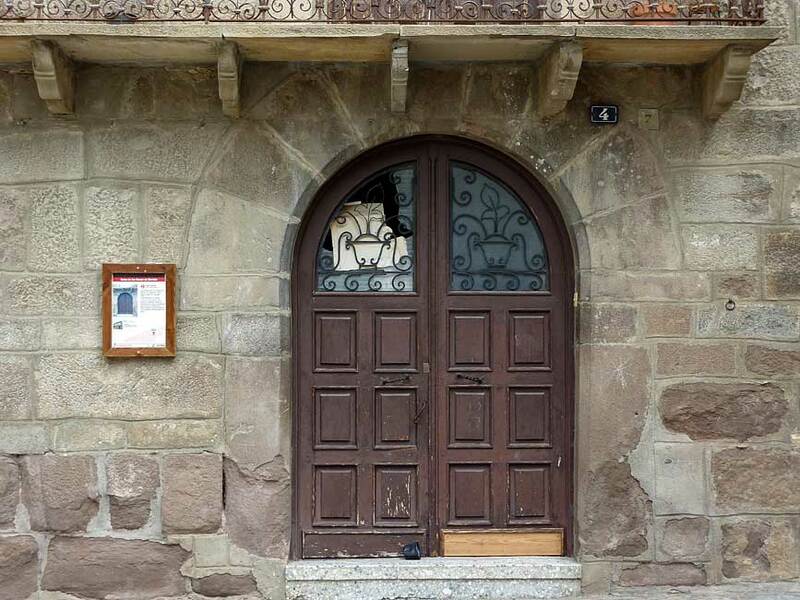 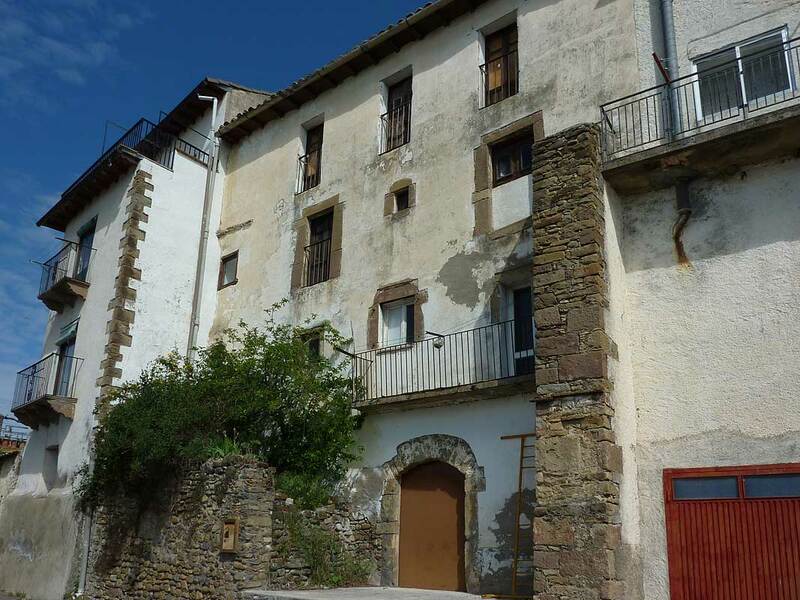 It is a manor house typical of Pyrenean architecture: A balcony along the length of the upper floor, the stone masonry, the arched stone doorway, and the family coat of arms. 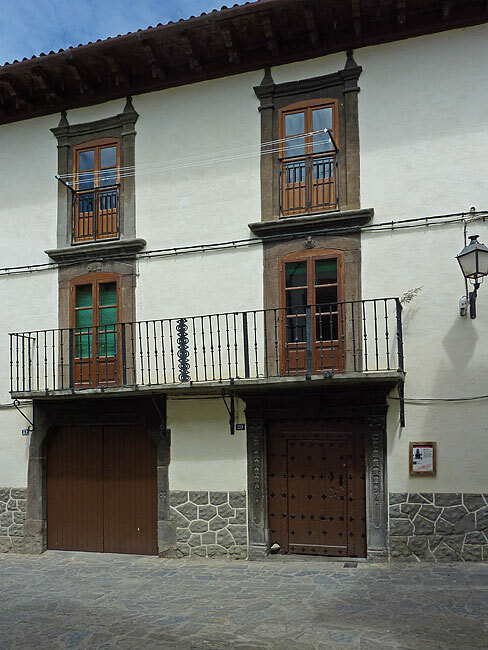 Casa María Rosa in Calle Santa Cruz. 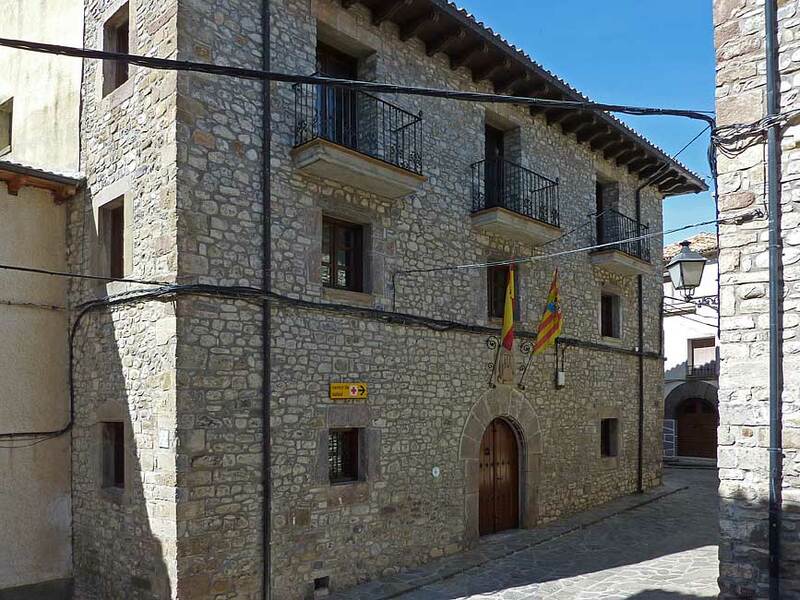 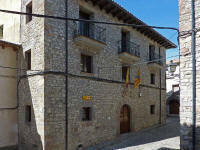 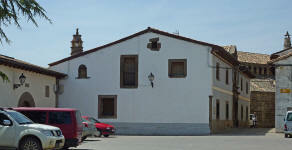 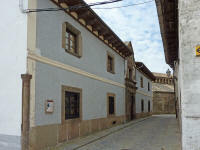 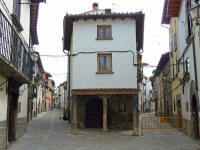 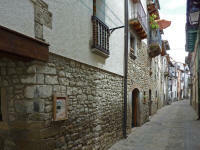 Built in the 16th century with architectural features characteristic of the area. 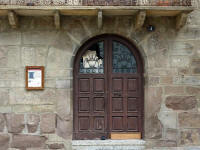 Within the porch on stone columns a round-arched doorway and a double-arched window. 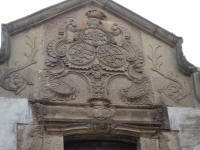 Carved stonework on the side of the house. 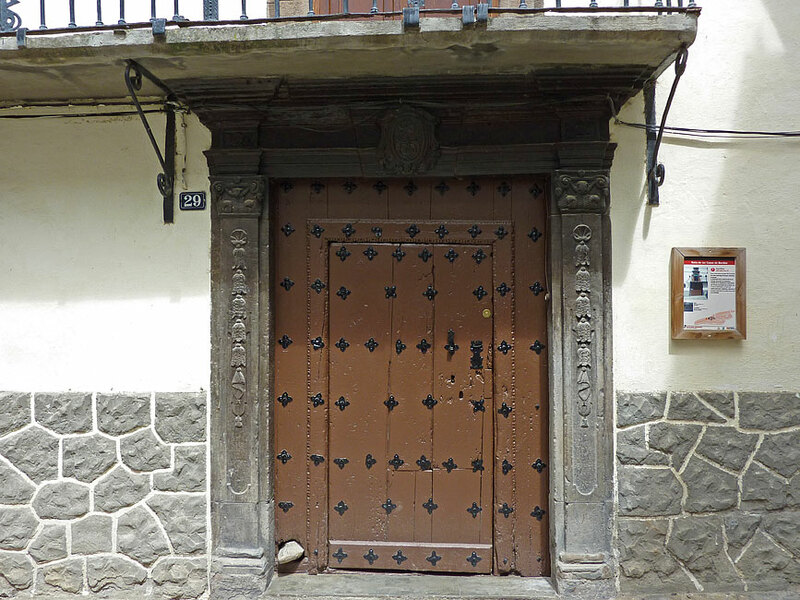 Casa Pérez also in Calle Santa Cruz. 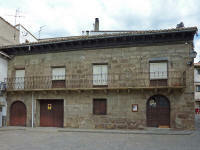 19th century with balcony and decorative stone surrounds to doorways and windows.